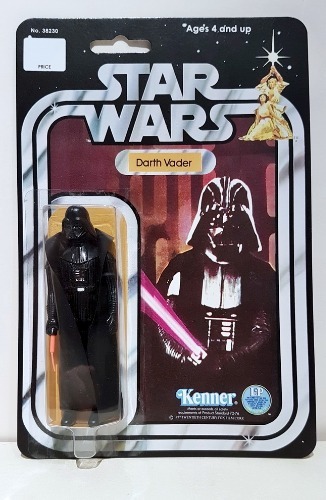 This amazing 9.5 condition Mint on Card, vintage Star Wars, "Darth Vader" Kenner label Action figure came from a personal collection of one Star Wars collector that had owned the figure for 30+ years. This vintage carded action figure has never been offered for sale before until now. The card has never had any sort of stickers applied to it and/or does not display any evidence of anything sticky anywhere on the card back. Bubble remains clear and still tightly applied to card back. No rips, tears or crease marks on this card. A true rare gem for that serious vintage Star Wars collector. All Store Prices Posted Are In USD Currency. Copyright © 2019 brgamusements.com All rights reserved.